In the early 1900s, Lodge #871 of the Benevolent and Protective Order of Elks of The Bronx had a membership of over 450 and was one of the largest and most prosperous branches of the Elks order in the metropolitan area. The group had outgrown their quarters in Masonic Hall, on Washington Avenue, and made plans for a larger clubhouse. In November, 1908, the lodge purchased a plot measuring 50 by 102 feet on the northeast corner of the Grand Concourse and Burnside Avenue. The new clubhouse had three stories and a sub-story, and there was a roof garden and pergola. Architect James Riely Gordon designed a facade in the Italian Renaissance style, with a base of limestone and light-colored brick and stone timmings above the first story. In the sub-story level were bowling alleys, a rathskeller, and mechanical equipment. On the ground floor were the clubroom, lounging room, billiard room, library, Secretary's room, and a buffet. The lodge room, entered from the second floor level, included a gallery and had a seating capacity of 670. At the rear was the foyer with dining rooms on either side. 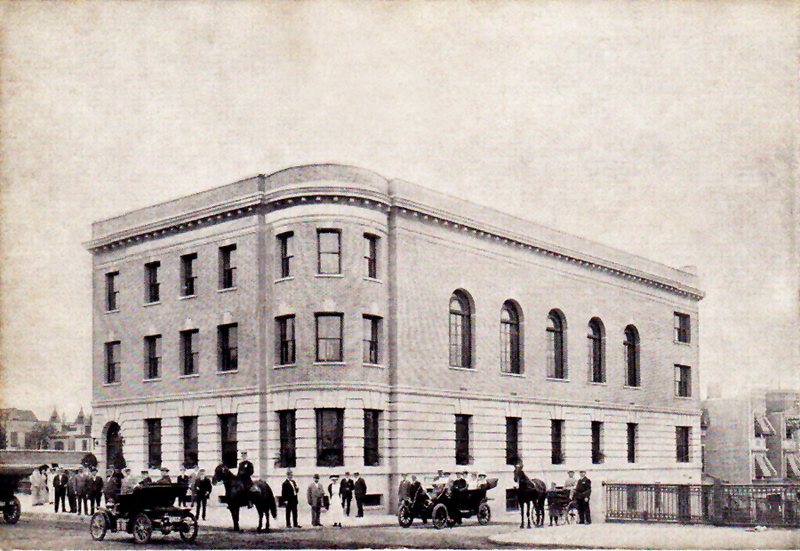 Built at a cost between $75,000 and $100,000, the new facility opened in 1909. By the 1980s, membership had declined and the building was abandoned. In 1995, Lodge #871 merged with Lodge #756 in New Rochelle, N.Y..
After the Elks' departure, the building was used by the Citizens Advice Bureau (CAB), a local non-profit group. By 1995, the building was abandoned. In 2008, St. Barnabas Hospital announced plans to demolish the old Elks Lodge and erect a 10-story out-patient facility on the site. For their new clubhouse, the Elks selected J.H. & C.S. Odell of New York City to build an organ for the lodge room. Installed in 1910, the organ had tubular-pneumatic action and cost $2,500. The fate of this organ is unknown. "Elks Make Way for Health Center," Mount Hope Monitor, Vol. 2, No. 3 (March 2008). "New Home for Elks on the Concourse," The New York Times (Jan. 24, 1909). J.H. & C.S. Odell & Co. Ledger Book, p.34. Cost of J.H. & C.S. Organ, Op. 459 (1910). Courtesy Larry Trupiano. Trupiano, Larry. Factory Specification of J.H. & C.S. Odell organ, Op. 459 (1910).